From Penobscot Bay to Passamaquoddy Bay, the Downeast Fisheries Trail connects historic and active fisheries sites that illustrate the region’s maritime heritage. Marine resources sustain the culture and economy of Downeast Maine. 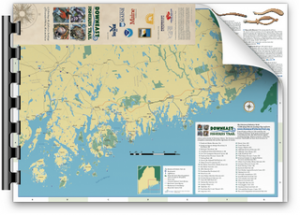 The Downeast Fisheries Trail builds on these local resources to strengthen community life and the experience of visitors.